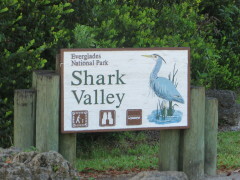 We were up early this morning, headed to Shark Valley to ride the tandem in the Everglades. 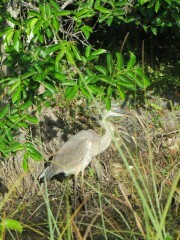 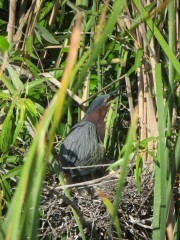 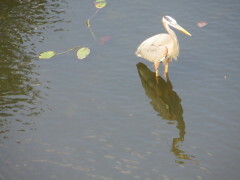 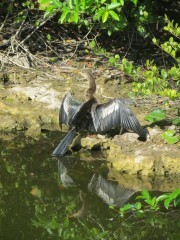 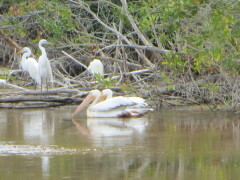 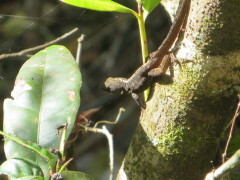 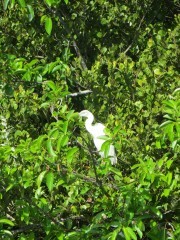 As expected, we saw plenty of alligators, most relaxing in the water or mud, but also lots of birds. 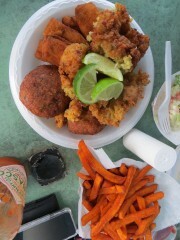 The following pictures don’t need much description. 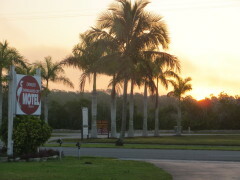 Sunrise at our overnight hotel in Everglades City. 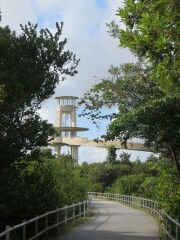 Observation deck at the southern end of the park drive. 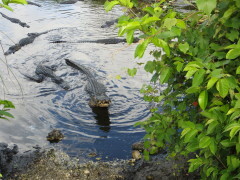 Alligators gathering to block the fish. 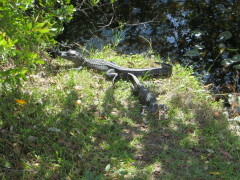 This gator is crunching on a fish. 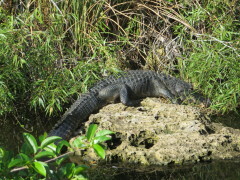 The eastern side of the Everglades is a River of Grass. 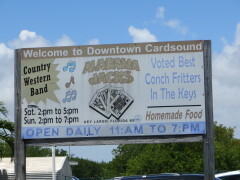 Ian and Cheryl recommended we eat at Alabama Jack’s near the card Sound bridge – and we enjoyed the conch fritters, crab cakes and fish fingers. 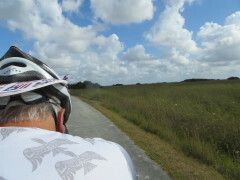 We spent the evening organizing our panniers – tomorrow we start our self-contained adventure, riding from Florida City to Key Largo, to meet up with Kent & Anne Ellis. 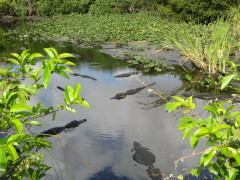 What a great pre-tour tour you are having!